This fuel pump is a direct replacement for the original part. Although the performance is improved compared to the OE part, we would recommend not to use these units for engine which deliver more then 260bhp. Although the unit looks similar, it is a modern unit and is far superior in design, the unit utilises a educter pump to transfer fuel from the tank to the reservoir can, unlike the old unit that used one section of the pump itself for this task. The pump itself is the latest version turbine type which is more efficient than the original centrifugal pump. A big advantage of this design is the time needed to refill the canister, this is approx. 5 seconds, which is much faster than the old eductor designs. The unit is plug and play and comes including a new fuel pump seal. The sensor used to measure the fuel level in the tank is a new type substrate type sensor rather than the old style wound wire sensor. Big advantage of this type of sensor is.. it doesn't wear. The original wirewound type sensor can wear out over a longer stretch of time where this new type can't. 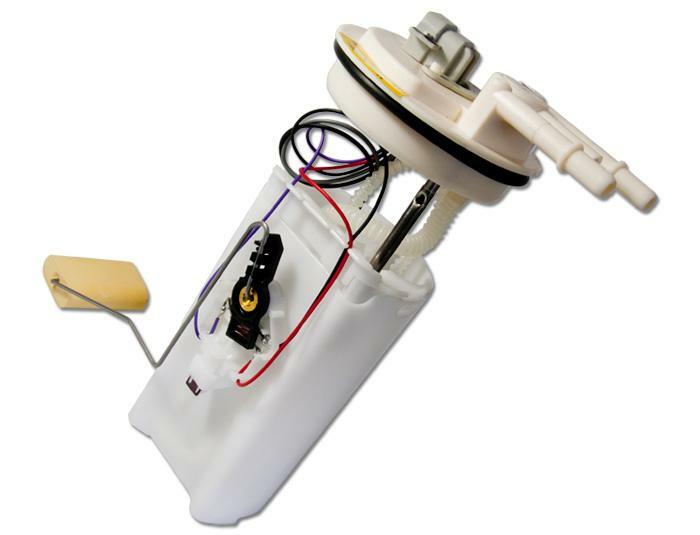 The float arm is designed in such a way that it will fit OE, but also Pro Alloy Fuel tanks. The pump draws less current than the original design and ..it's quiet! This is not an ill fitting cartridge pump replacement but a complete new unit including a base filter, level sensor, seal etc. In other words... this is a real plug and play replacement!